John Thomas Wahlquist, of Swedish-Scots descent, was born on September 10, 1899 to Charles and Elizabeth Campbell Wahlquist in Heber City, Utah. 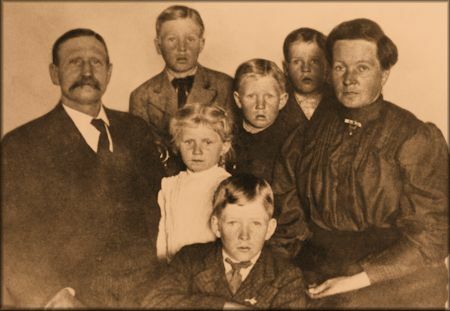 His father, born in 1866 in Ostra Ryd, Ostergotland, near Stockholm, Sweden, came to America with his mother and sister, arriving in Heber, Utah in July of 1877 at the age of 11. He worked to help complete the Strawberry Canal. He became County Attorney of Wasatch County at the age of 36, and served as Bishop of the Buysville Ward. His mother, Elizabeth, was born in Heber, Utah, to parents from Scotland. Elizabeth became a well-known vocalist. 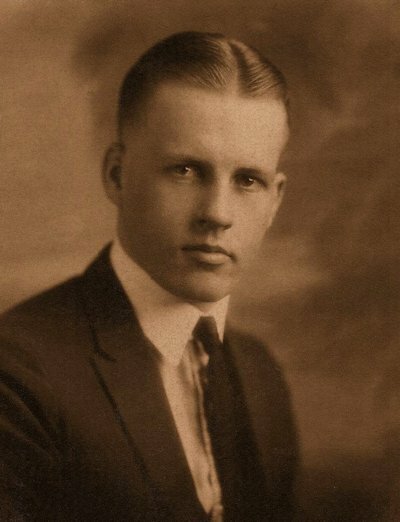 As a young man John left his beautiful Heber Valley to study at Brigham Young High School in Provo, where he graduated as valedictorian in the Class of 1918. He became a school teacher and principal in Uintah and Weber counties by age 18. John married Grace Dorius, daughter of Lewis O. Dorius and Violet Mellor on August 30, 1923. She was a graduate of Snow College in 1920. John received a BS degree at BYU in 1924; followed by an MS in Philosophy with High Honors in Educational Administration from the University of Utah in 1926; and a PhD in Secondary Education from the University of Cincinnati in 1930. Grace graduated from the University of Utah with honors in 1936. John then studied at Teachers College, Columbia University, 1939. He was honored with membership in Phi Beta Kappa. 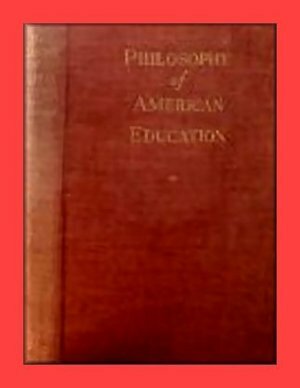 A teacher by profession, beginning in 1932 Dr. Wahlquist became director of the University of Utah's William M. Stewart Training School [similar to the Brigham Young University Training School in Provo], from 1932 to 1941. He served as a visiting professor at the University of Cincinnati during the summers of 1931 and 1932 and at George Washington University at Washington, D.C., during the summer of 1935. At the University of Utah he served as Dean of the School of Education, and Professor and Head, Department of Education Administration, from 1941 to 1952. John T. Wahlquist was appointed President of San Jose State College from 1952 and he served through 1964. 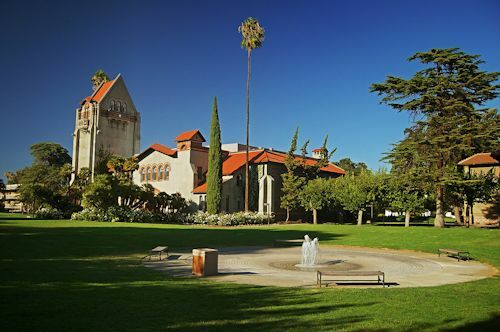 Located in San Jose, California, it was the founding school (1857) of the 23-campus California State University (CSU) system, and holds the distinction of being the oldest public institution of higher education on the West Coast of the United States. Dr. Wahlquist established general education course requirements, and promoted graduate programs. He established summer institutes, community business workshops and federally-sponsored endeavors, including a Peace Corps training program -- a ten-week specialized course that brought students to San Jose from around the country. 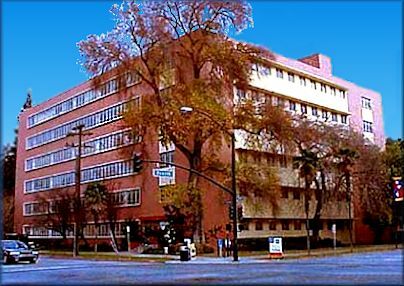 During the Wahlquist Administration, San Jose State grew from a school of approximately 5,000 students to 25,000 students. 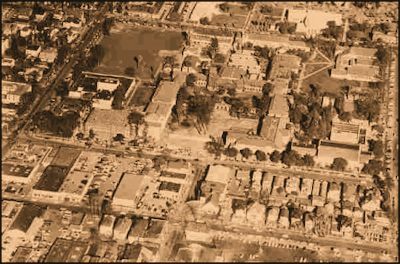 Dr. Wahlquist directed the acquisition of eight city blocks for the growing campus, the closing of city streets, and the development and construction of over 20 new buildings. In 1962 the North library building on campus was named the John T. Wahlquist Library, to honor his contribution to the university. In 2000, this library building was deconstructed and merged into the Martin Luther King Library. He retired on September 10, 1964, on his 65th birthday, as President Emeritus. He and his wife then spent time in Hawaii as consultant to Dr. Owen J. Cook, active president of the Church College of Hawaii, Laie, Oahu. Dr. Wahlquist was a member of the Church of Jesus Christ of Latter-day Saints. 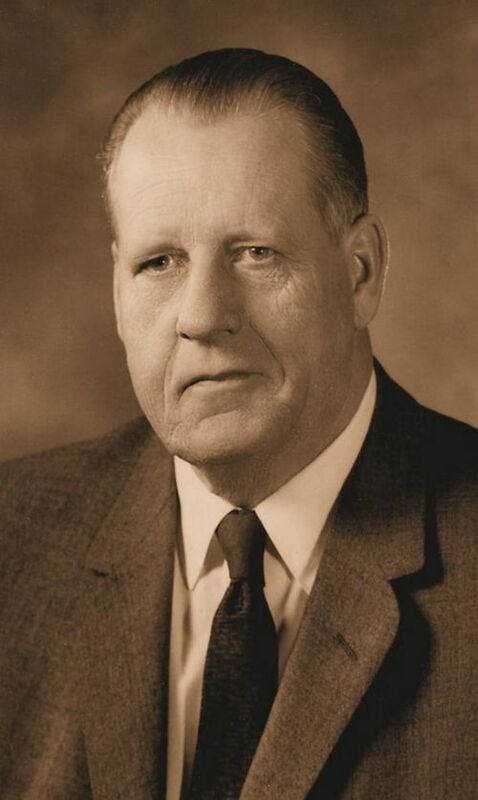 He served for ten years on the Sunday School General Board in Salt Lake City. He wrote the first teacher training book for the Church, titled, Teaching as a Direction of Activities. This book was translated into many languages and used all over the world. Grace, his wife, served as President of the Council of Women in Salt Lake City. She served on the General Board of the LDS Primary for seven years. She was a member of the Pioneer Monument Committee, and during World War II she organized the Utah Minute Women. Their sons, Don Dorius Wahlquist, born in 1925, became a journalist and novelist; and Carl Dorius Wahlquist, born in 1927, became an architect. John T. Wahquist died on November 28, 1990 in Ogden, Utah. He was survived by his two sons, Don and Carl; his daughter-in-law, Jeniveve; and five grandchildren, Michael, Rebecca, Mathew, Mark, and James. Also surviving him was one sister, Mable Wahlquist, of Ogden, Utah. Funeral services were held in San Jose, California on Monday, December 3, 1990, at the Darling Fisher Chapel. He is buried in Los Gatos, California Cemetery, next to his wife, Grace, who preceded him in death in January 1989.